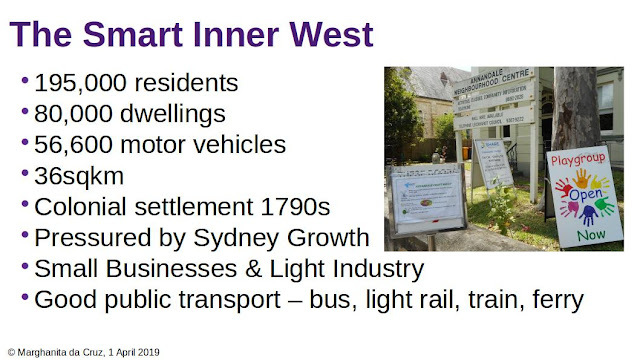 The Inner West Council has 195,000 residents; 80,000 dwellings, small businesses, light industrial areas squeezed into 36sqkm in Sydney a city of 6.5million people. Our community is pressured by Sydney’s Growth. 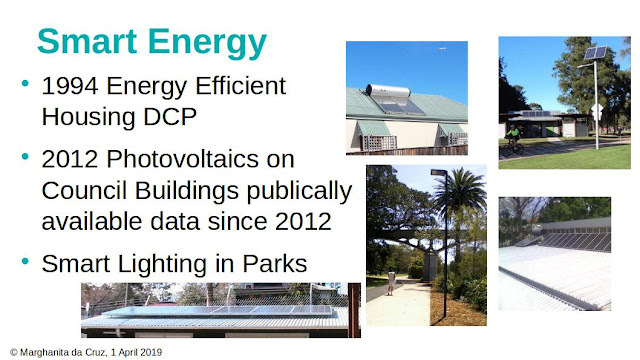 We have Photo Voltaics on our buildings, Smart Lighting in our parks and provide free Wifi. 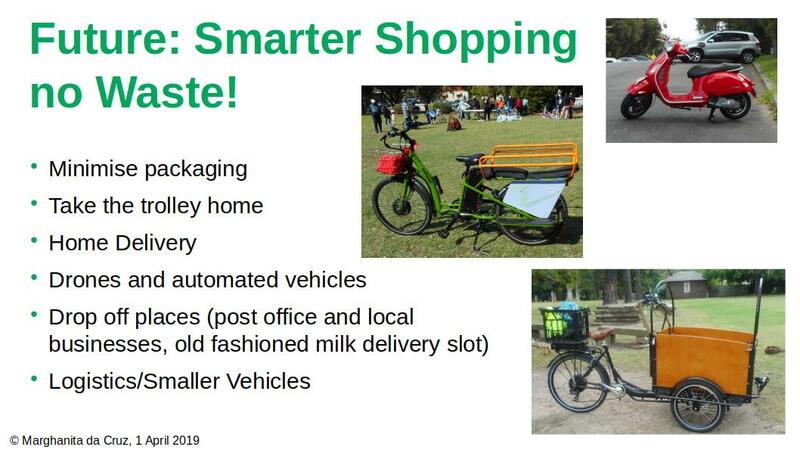 Shopping Trolleys, Online Shopping Delivery Vans, Share Cars, Share Bicycles and now share electric bikes are on our streets. Our residents are analysing Air Quality Data and contributing wildlife surveys. Our realtime energy data is publically available. 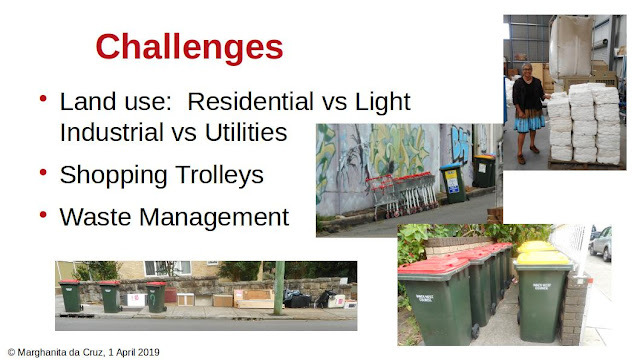 Smart Shopping, Smart Waste Management, Smart Energy Management, Smart Logistics, Transport and Streets all have a place in our Neighbourhoods. Clr Marghanita da Cruz was elected to the Inner West Council in September 2017. 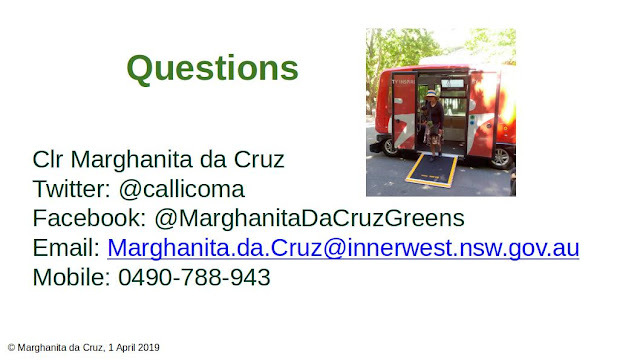 Marghanita brings to her role as councillor, a professional background in Information and Communication Technology (ICT) including open data and standards. Her passion for walking and the natural and built environment has lead to the self-publishing of the history of Annandale as a series of short walks as eBooks and Paperbacks on Demand. 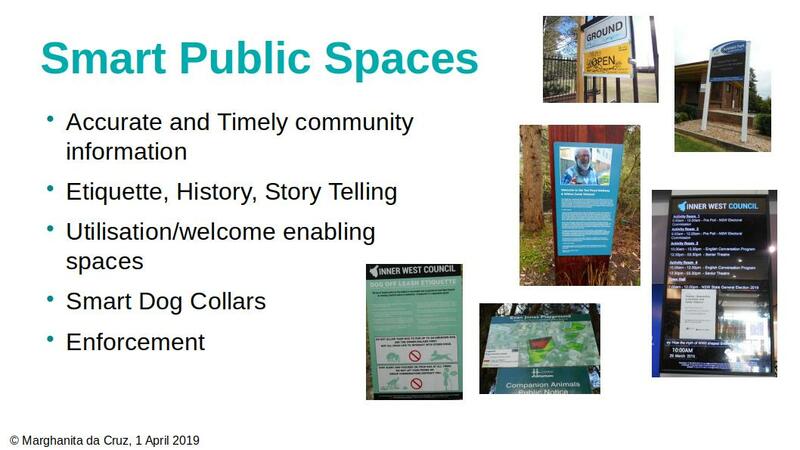 In 1998, Marghanita established Annandale on the Web.